Grainger Public Relations » ‘Pernickety’ Site Manager Does Scotland Proud … Again! ‘Pernickety’ Site Manager Does Scotland Proud … Again! A Perth Site Manager has exceeded his hat-trick record after once again achieving national success in prestigious housebuilding awards. 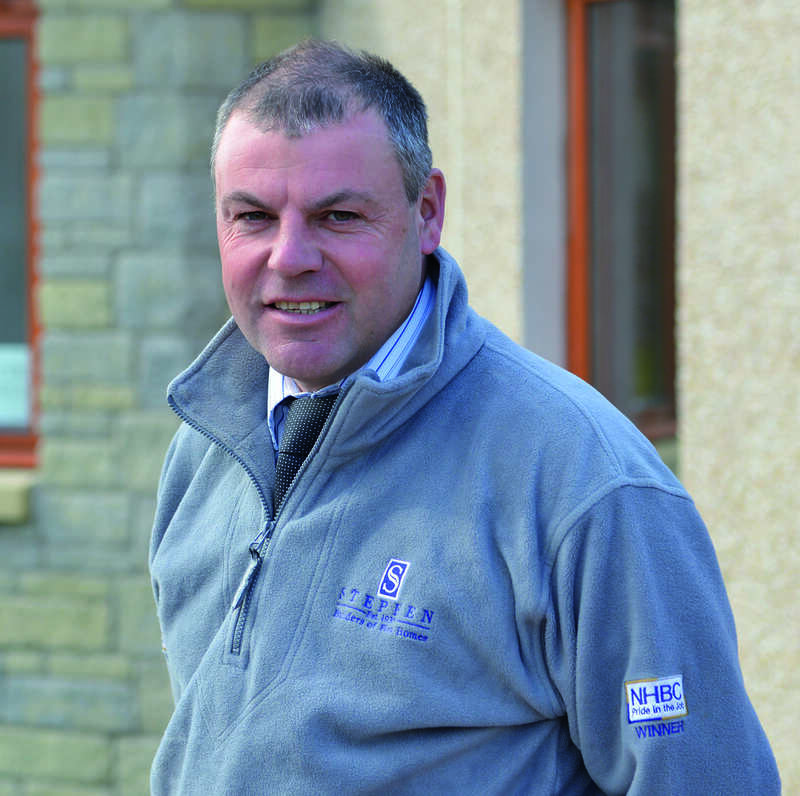 Alan Robertson of Perth-based Stephen has again become one of just five Regional Award winners in the NHBC Pride in the Job awards (Small Builder category) as well as winning a Seal of Excellence, one of only ten awarded in Scotland. The awards were presented by Neil Jefferson, NHBC’s Business Development Director, joined by Malcolm MacLeod, Regional Director for Scotland at a ceremony in Glasgow on Friday 3 October 2014. Alan will now go forwards to contest the national Supreme Winner title in his category at the Gala Final in London in January 2015. In each of the last three years, Alan has not only collected a Pride in the Job award and a Seal of Excellence, but also a National award in the Small Builder Category. But, despite his growing collection of awards, Alan believes that the success of the Scone site is down to a number of wider factors. The Balgarvie development has proved to be a winner with buyers over recent years due to the consistently high quality finish of its homes, together with its prime location. The site comprises a mixed housing development, ranging from two-bedroom bungalows to five-bedroom family houses. Meanwhile, sitting on the edge of the Balgarvie development is a collection of contemporary two-bedroom apartments which are proving extremely popular.